UPSC students going to witness the major changes in the recruitment process for getting selected in Civil Services. As the central government has made this proposal to make the changes in the selection process of Civil Service examination. According to the reports, Prime Minister’s Office (PMO) has asked the responsible department for the Civil Service recruitment process that check whether the services can be allocated after the completion of foundation course. • The departments have been asked by the PMO that to examine the feasibility of giving due weightage to the performance in the foundation courses. According to the reports of PTI, the candidates will get the service allocation and cadre allocation on the bases of Indian service officers combined score obtained in the civil services examination and also marks in the foundation course. Well, the oppositions can’t miss any opportunity to slam the government, especially, when it comes to Rahul Gandhi. 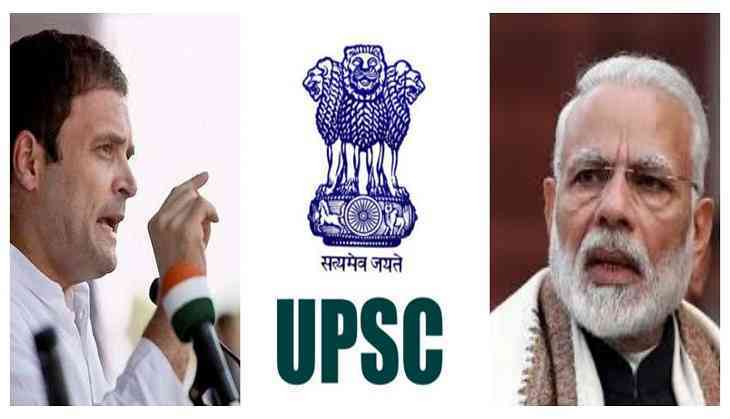 Yes, Congress President Rahul Gandhi spoken over this matter on the micro-blogging site and attacked PM Modi over the UPSC cadre allocation proposal. However, Personnel Ministry official said in a recent PTI report that all the departments who involved in the recruitment process, have been asked to give their feedback on the proposal to allocate other central services like the Indian Revenue Service (IRS) and Indian Telecommunications Service (ITS) among others.